Budget travellers to the Grampians will find a range of economical accommodation choices near the prime attractions and landmarks in this area. A number caravan parks within Halls Gap offers budget lodging choices, perfect for all travellers. Halls Gap caravan parks offer you a variety of room types including many low priced budget rooms, through to the slightly more expensive private cabins. Or, of course, bring your own caravan and pay only a minimal cost to host your caravan for the evening. The best part about staying at a caravan park is that you are so close to nature that you get to embrace the mountainous terrain each time you step out your door. Apart from hosting your own caravan, the local caravan parks also include a number of private cabins for rental as well as single backpacker accommodation choices as well. Each of these lodging options is fully equipped with a range of amenities and services including hot showers, clean toilets, washing facilities, clothes lines as well as kitchen and BBQ facilities. Start off the adventure at the Big4 Grampians Parkgate Resort that aims to offer quality caravan accommodation. The park’s location affords visitors a stunning background of the mountain bathed in the evening glow as the sun sets in the horizon. There are two pools and a jumping pillow on location for your convenience. 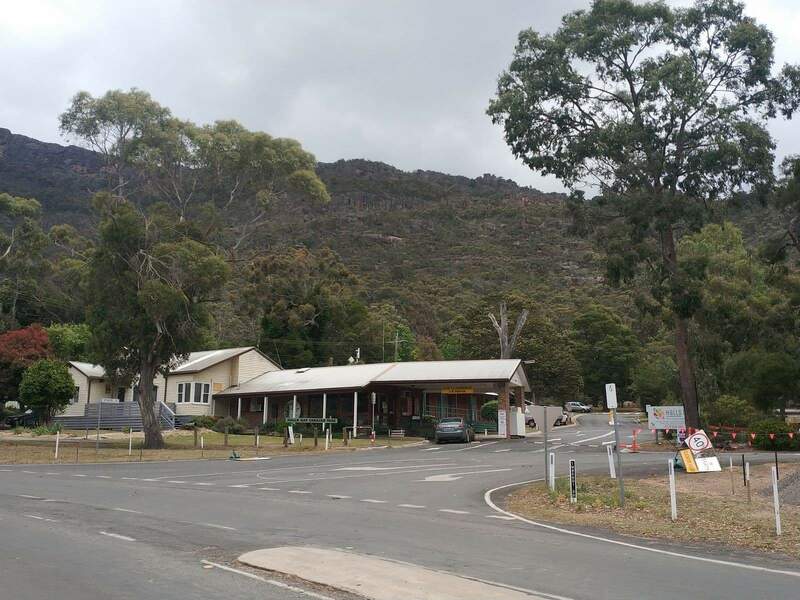 Halls Gap Caravan Park is yet another option that is conveniently located and is just a 5 minute drive from the Grampians National Park. Kangaroos are a common sighting on the park and amenities include BBQ facilities, complimentary Wi-Fi and playground. Relax and reconnect at the Halls Gap Gardens Caravan Park. With breathtaking views of the mountain ranges, the diversity of native wildlife and clean spacious sites, it is easy to see why caravan owners love to visit this park. This family-owned park is set on nine hectares of land on the fringes of the Grampians National Park. Plantation Campground offers caravan sites on location, with each site accommodating a maximum of six people. The sites are unpowered and amenities provided include bush showers, non-flush washrooms and shared fireplaces. Check out some of the great Halls Gap Caravan Parks available by clicking on the links below.